Reliable travel companion perfect for notes, sketches and thoughts. Bound hard cover with rounded corners, bookmark and elastic strap closure. Colors shown are computer simulations of material colors. 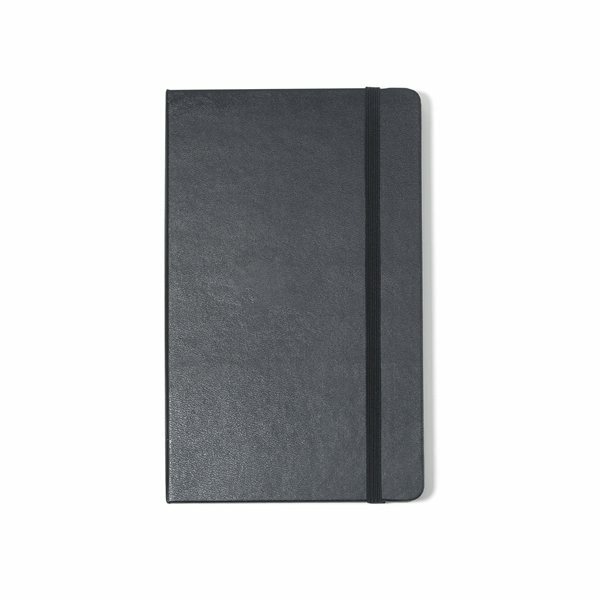 Notebooks come packaged with a Moleskine branded ivory paper band and are individually shrink wrapped. Products turn out great. Staff worked with me to get the right design. Thanks. Product received as promised and on time delivery. Product quality was great. Size of logo was great. It had been perfect, precisely what I was searching for. Like quality and price. I also really appreciated having samples to look at up close. Loved the product greatly. It looked much better value than expected and was of outstanding quality. Alicia did a great job. Thanks, AnyPromo! Well done!